Composition: field clove buds, flower baskets of wormseed, rhizomes and roots of elecampane, walnut leaves, birch leaves, garlic, costmary (Tanacetum balsamita), Nigella, the roots of Phellodendron amurense, Tagetes, cinnamon, chanterelles mushrooms. How supplied: capsules (300 mg each). The package contains 80 capsules. children 2-3 years: 1 capsule every other day. Take with 50 - 150 ml of warm water depending on the dose. The duration of the course of treatment is 6 weeks with an interruption of 1 week after three weeks of continuous administration. In 3-4 months, the overall course should be repeated. 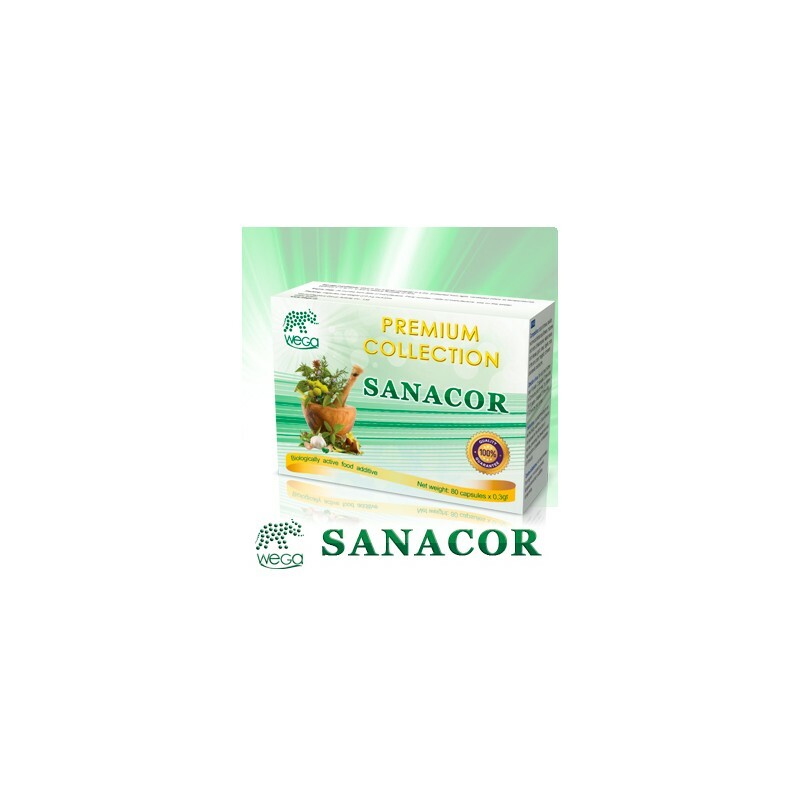 Using SANACOR does not require any prior preparations; however, sweet and fatty foods, as well as dairy products and confectionery products should be used very sparsely if at all. In an intensive parasitic infestation, it is advisable to increase the amount of water intake for the 3-5 days of SANACOR intake or perform a cleansing enema. Individual intolerance to any component of the product, pregnancy, lactation. The product is an anthelmintic, antiviral, antimicrobial, antimycotic (against various types of pathogenic fungi), acaricidal (anti-mite) wellness combination. The product exerts a marked anti-parasitic action by creating within the body conditions unfavourable for the development and reproduction of parasites and stimulates the enzymatic functions of the gastrointestinal tract. - the product has a positive influence on physiological condition and mental attitude. - normalisation of the immune responses. All these functions are performed by a SANACOR product. 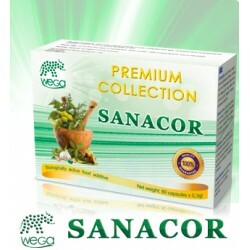 SANACOR is used for prevention and treatment of virtually all chief parasitic disease, such as helminth infestations (ascariasis, trichocephalosis, enterobiasis, strongyloidiasis, opisthorchiasis, clonorchiasis and diphyllobothriasis), protozoan infections (infections caused by pathogenic protozoans, such as amoebiasis, giardiasis, trichomoniasis, pneumocystis infections and chlamydiasis). 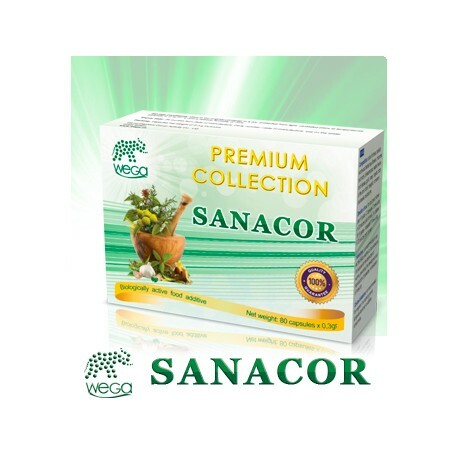 The intake of the anti-parasitic herbal composition product SANACOR improves well-being and normalises a number of parameters: there is an elimination of dyspeptic symptoms (digestive disorders), a significant reduction in cutaneous allergic manifestations and asthma attacks; physical and intellectual performance is increased, there is a diminished amount of fatigue, normalisation of eosinophil counts (the type of leukocytes, the white blood cells, that play the main role in host resistance to helminths (worms), as well as their eggs and larvas). The herb composition also facilitates normal haemoglobin levels in blood. - toxaemia related to by-products of parasitic metabolism.